The festive season may be all about glitz and glam with fine jewellery watches and eye-catching sea-inspired cufflinks but the well-dressed gent knows that, when it comes to real style, it's the details that matter. 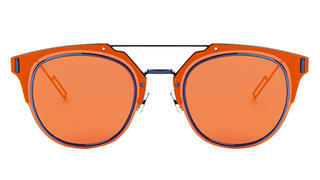 Subtle luxe touches add elegance to clothes and accessories - Robert Johnston picks some of the best. 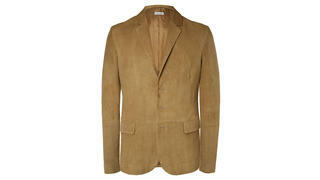 Bottega Veneta’s Tomas Maier’s eponymous label may be a little laid-back but it still expresses the values of pared-down perfection, as evidenced by this ultra-chic suede blazer. 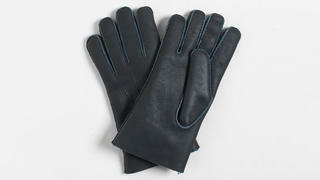 These suave, smart lambskin gloves feature piqué stitching and a subtle elongated “H” logo at the wrist. But the true beauty is that they are touchscreen-compatible. RRL takes its name from Ralph Lauren’s Colorado ranch, the “Double RL” – named after Lauren and his wife Ricky. 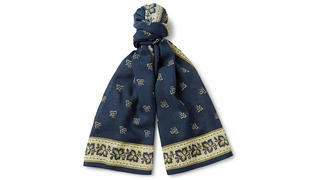 The label is heavily influenced by Western style – as seen in this indigo-dyed printed cotton scarf – and is a favourite with urban cowboys. 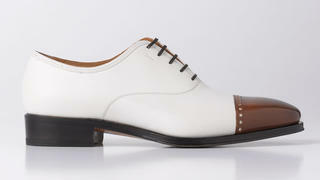 These made-to-order shoes let you dress your feet in unique style thanks to customisation options, including material and individual lettering on the sole. Not surprising for an animal that survives on the Tibetan plateau, yak fibre has amazing heat-keeping properties. 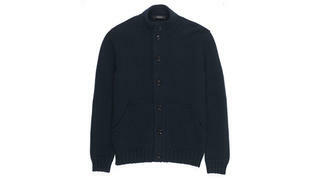 It can also be as soft as cashmere – as well as having anti-microbial properties – making this truly luxurious knitwear. Made in Italy from lightweight, black aluminium, these Composit 1.0 sunglasses are extremely comfortable, while the mirrored lenses add drama. 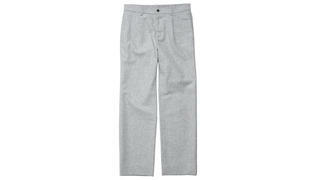 The elegantly relaxed silhouette of these trousers in soft corduroy has echoes of Cary Grant and Gregory Peck. Nothing says Riviera more than the classic red-and-green Gucci stripe. 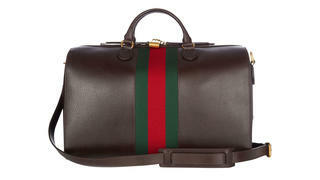 And under the direction of Alessandro Michele no other label is hotter right now, so let your luggage do the talking.